This newly minted model from Lexus seems to aim squarely at the upscale younger female market. We found that it is well-aimed, as most of those we talked with who fit that description liked the NX 200t. 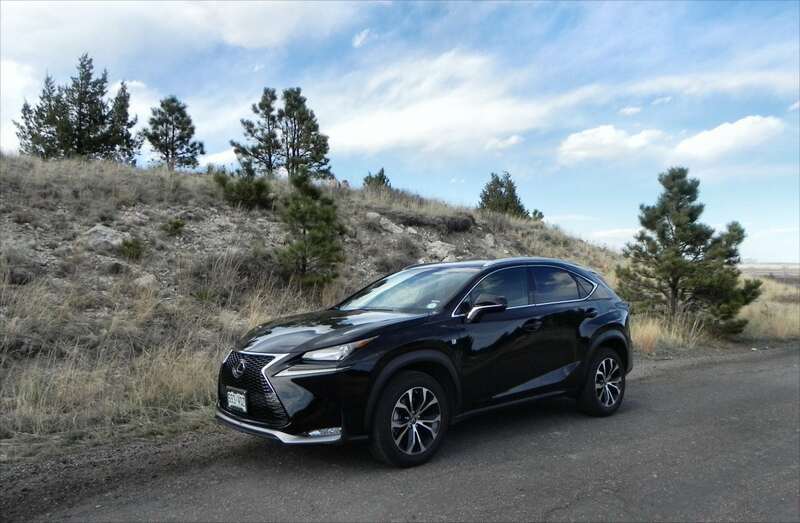 For the luxury compact crossover segment, the 2015 Lexus NX 200t is a great entry. Having a hybrid variant doesn’t hurt either. 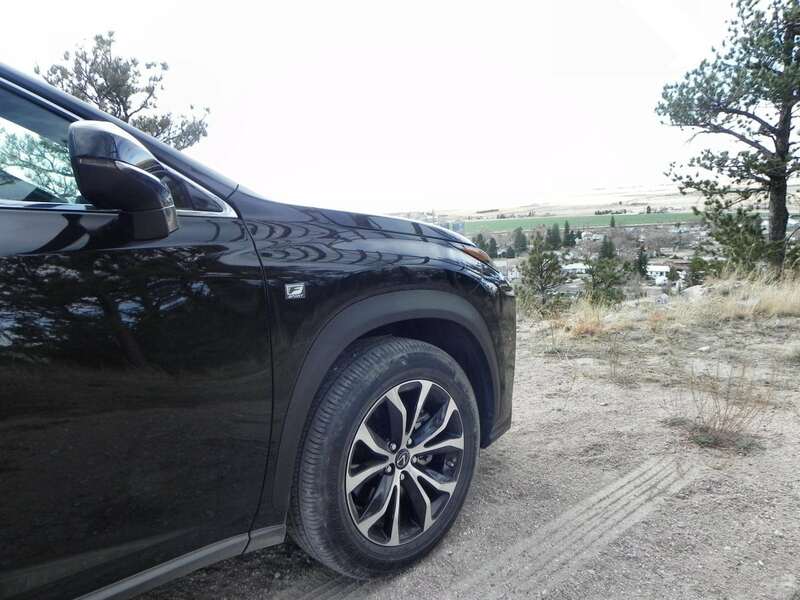 The 2015 Lexus NX 200t is a right-sized little crossover that seats five and offers plenty of cargo space. Usable cargo space, we note. 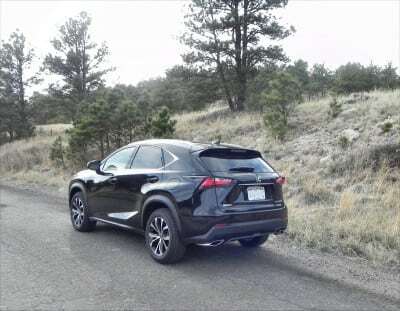 The NX fits below the RX series in the Lexus crossover line, being slightly smaller, but utilizing an easily recognized powerplant. 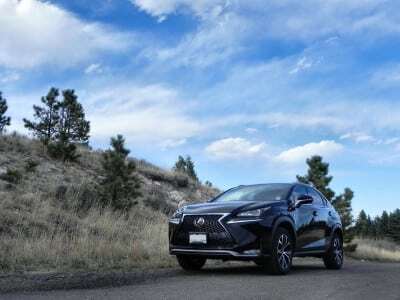 Its distinctive looks are a combination of the prevalent Lexus crossover design mold and a sort of “cute hatchback” appeal thanks to the incorporation of elements from the IS sedan series. 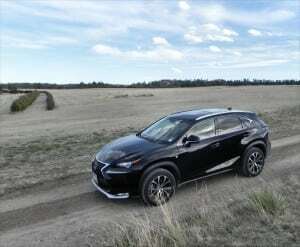 It’s a great mix and proved well-liked by women we presented the little NX 200t to in our week-long travels with it. There is a lot to be said about this crossover. 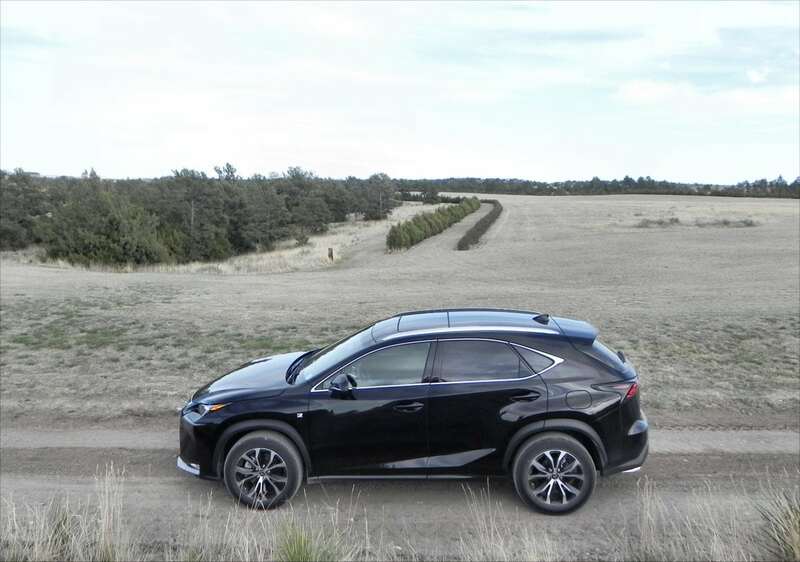 A hybrid option, which we’ll review in a month or two, adds to the overall market appeal here and utilizes the tried-and-true Lexus strategy for its crossover lineup. The NX 200t is in two trim levels with several options packages, most of which add tech or a few trim point updates. We drove the F-Sport trim. Anyone familiar with the interiors of Lexus vehicles will be at home inside the NX 200t. Nothing radical is added, though some considerations given the space and shape are made. 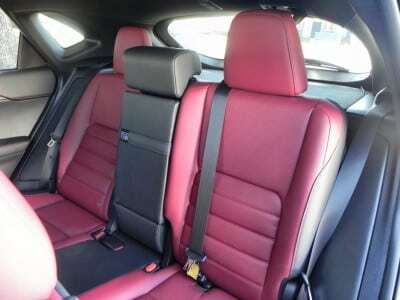 The front seating is very comfortable and nicely done. Even in a car this small, there is plenty of leg, shoulder, and hip room for even the big and tall. The rear seating is unusually comfortable and a tall person can sit there without much cramping. Head and shoulder room are great in the second row. In a drive through the city while in the back seat, it became clear that the seating arrangement in the rear is very good for a crossover this size. Cargo space in the 2015 NX 200t is good and, more importantly, it’s very usable. On paper, other crossovers in this segment have more room, but we doubt anyone shopping will truly notice that when looking at them versus the 200t in person. 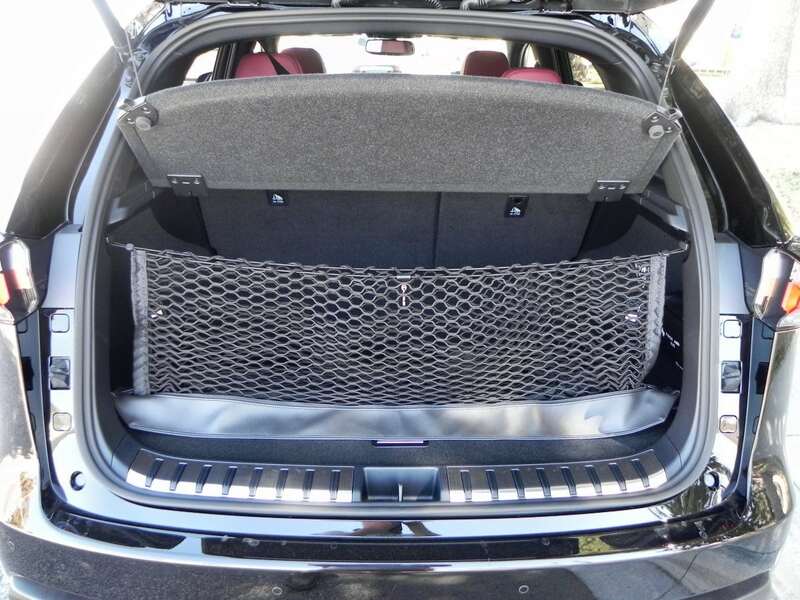 A thoughtful cargo net that folds into an integrated pouch for storage, good tie-down points, and a wide floor make for good ergonomics and more space than a first glance might suggest. 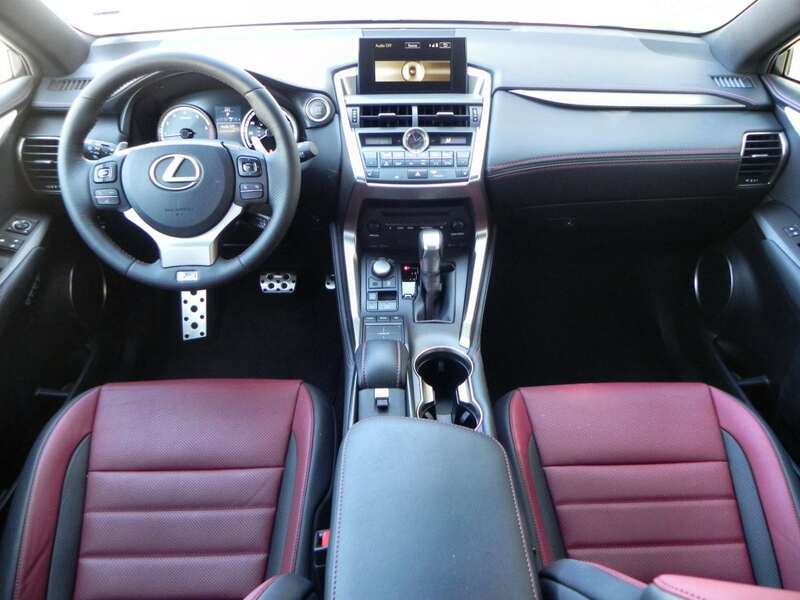 Several things are worth noting about the interior for the 2015 Lexus NX 200t, though. 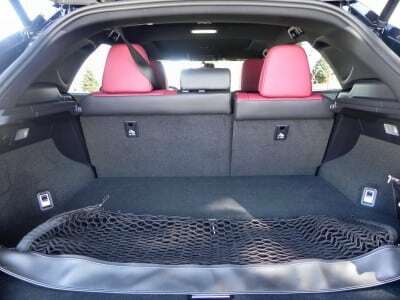 First is headroom, especially up front. 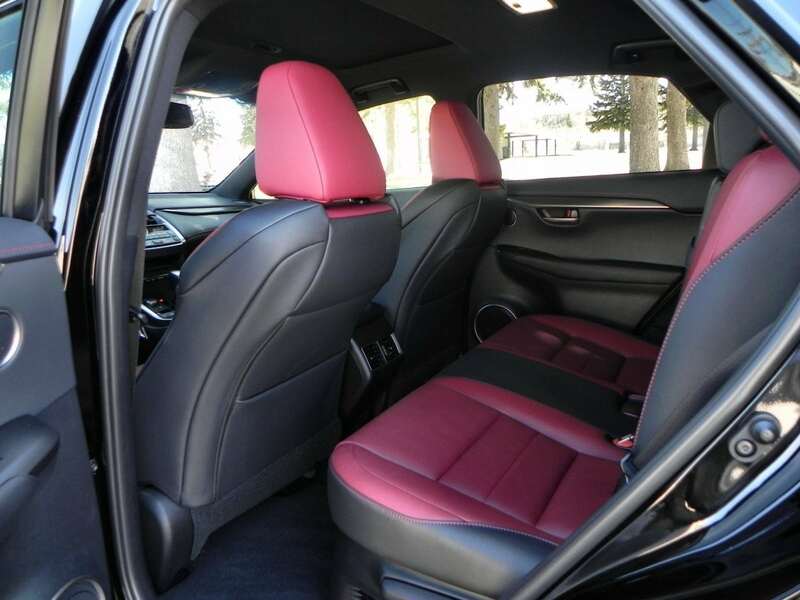 With the sunroof option, a tall driver will find a cramped feeling there, so those over six feet tall should go without the sunroof. In our F-Sport trim with Navigation, we had the touchpad-style interface that replaces the Lexus “mouse” normally seen in Lexus vehicles. This works in a way similar to most notebook computers and their touchpads. With some notable differences that take some time to get used to. First, you must “double tap” to select anything. That’s likely to minimize accidental selections while driving. Another note is that its response on-screen is slow and require broad gestures on the small pad to make movement of the selector happen. This gets a bit annoying, e specially when parked and trying to set up a destination on the navigation. 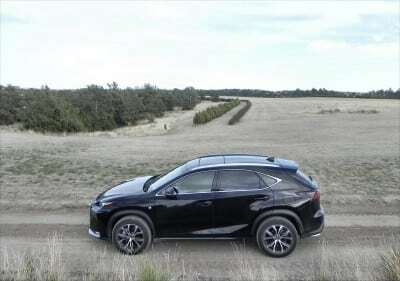 Lexus should consider toning these things down when the vehicle is in park and engaging them when it’s in motion. Another note are the climate controls. They’re mounted high and are very easily accessed thanks to their approach angle, which is flattened somewhat. This arrangement, however, makes glare an issue as sunlight often comes through the windshield to glance off those controls and make them harder to see. A 2.0-liter turbocharged four-cylinder engine powers the NX 200t, producing a respectable 235 horsepower and 258 lb-ft of torque. 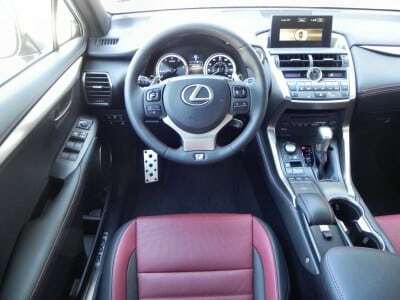 A six-speed automatic transmission is the only option and while front-wheel drive is standard, all-wheel drive is an option. Zero to sixty times in the NX 200t are in the 7.5-second range, which is about average. The EPA gives the Lexus NX 200t a rating of 24 mpg combined (22 in the city, 28 on the highway) in AWD. The FWD version gains about 1 mpg on the combined cycle. 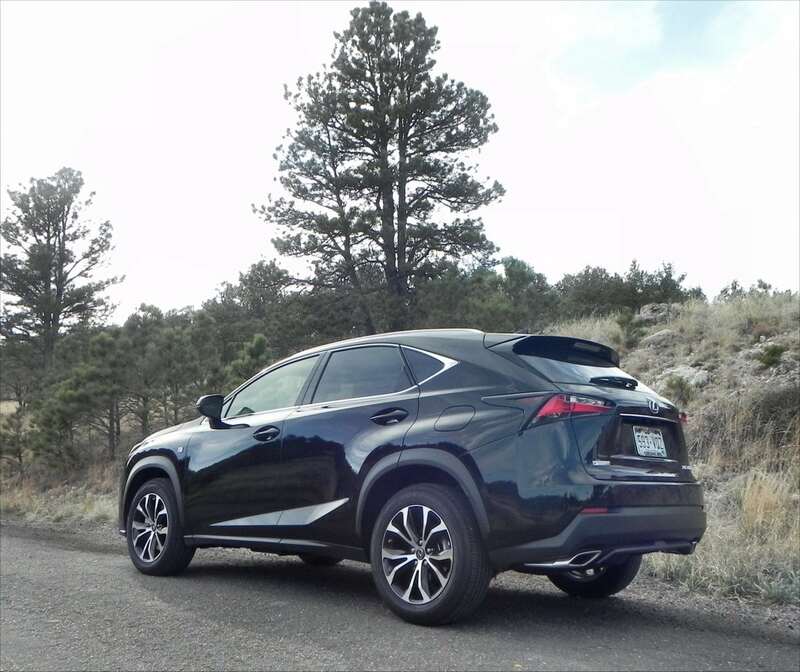 Over about 220 miles, our combined fuel economy was 22 mpg with AWD. 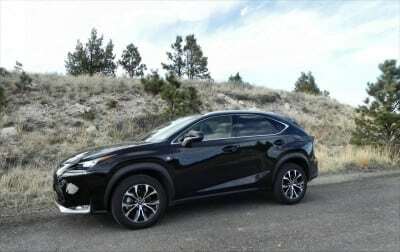 Driving the NX 200t is a fun experience. It handles nimbly, accelerates well thanks to those turbos, and is high enough to feel safe without being so high as to feel big. 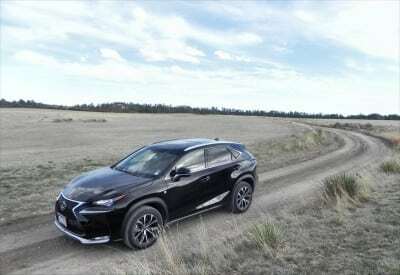 Lexus really thought out the dynamics of this crossover and it paid off. The suspension in the 2015 NX 200t is nicely done, absorbing the ruts and bumps well without feeling too cushy otherwise. 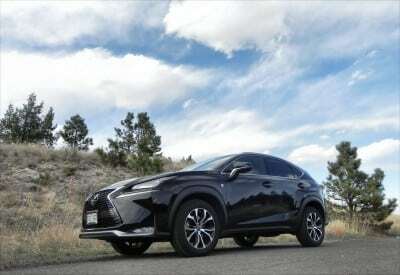 Out on the highway, it’s a smooth ride but enough feedback from the pavement translates into the driver’s hands and feet to keep the ride engaging. 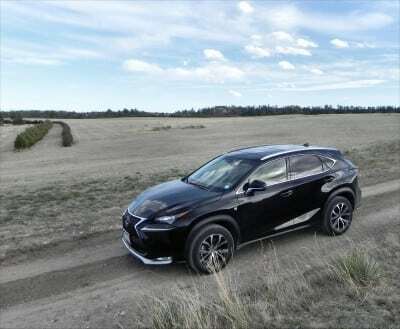 Acceleration is good, though not seat-pressing, and exerts the NX 200t confidently along the road or around another vehicle in a pass. 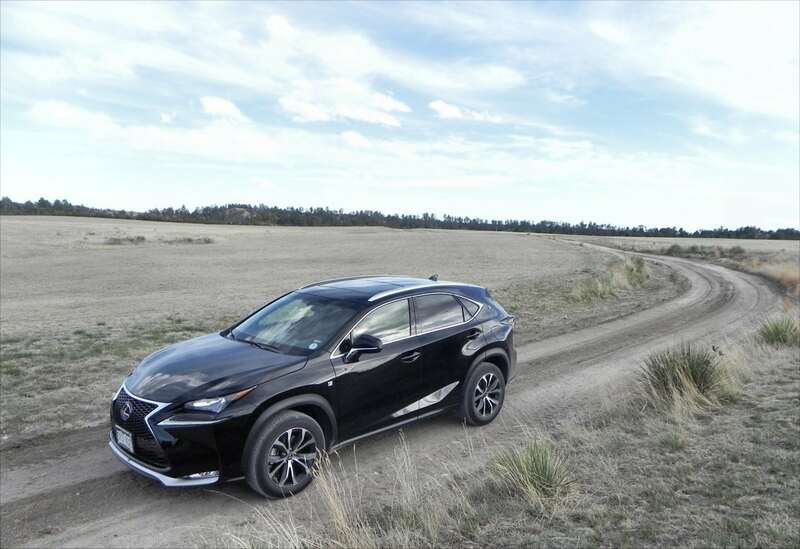 Competitors in the compact luxury crossover market are more plentiful every year, but for now are relatively few. The BMW X4 is a contender, as is the more traditional X3. The Audi Allroad may also be considered a contender. Most others are larger in size. We’re thinking of the Volvo XC60 and Acura RDX. The Lexus RX 350 is more comparable to those. 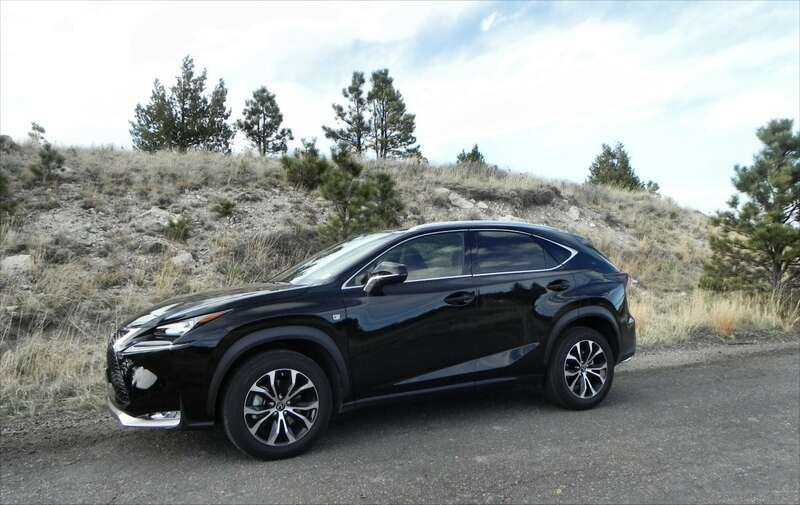 Capable and astute in handling and versatility. Fuel economy may be under par for some expectations. 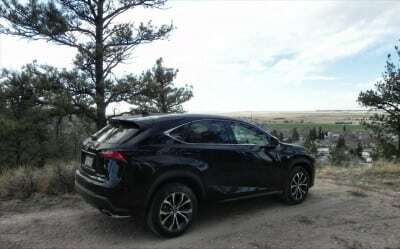 The 2015 Lexus NX 200t is a great little compact luxury crossover that should help define this new segment for buyers. It offers a great mix of driving dynamics, versatile space, and small-sized maneuverability in one package. 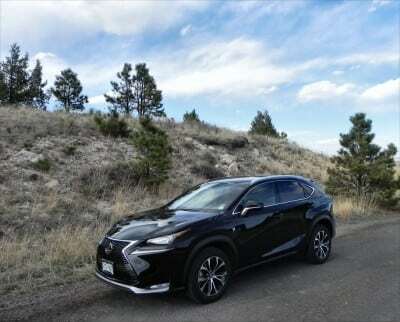 The NX 200t was a manufacturer’s press loan for about a week, during which time a total of 220 miles were put on the vehicle in a mix of in-town, highway, and freeway conditions. 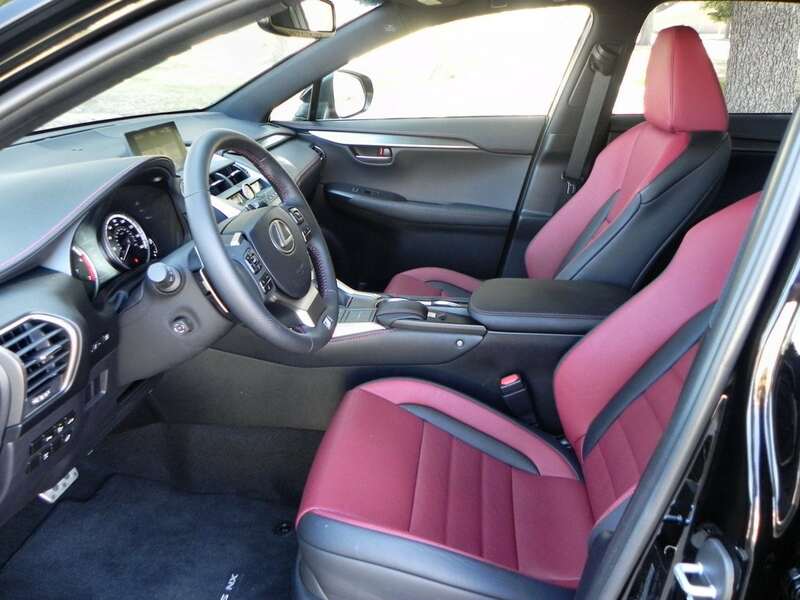 Passenger loads ranged from a solo driver to two adults and two children in safety seats.